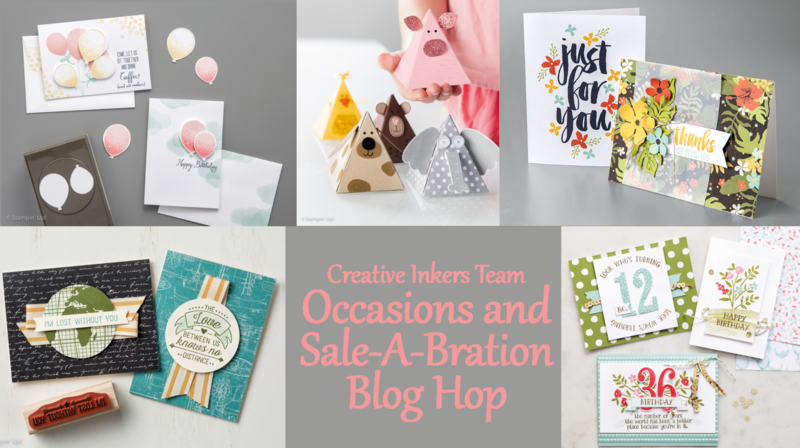 Welcome to our FIRST Creative Inkers Blog Hop for 2016. 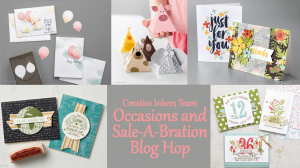 The latest Occasions and Sale-a-bration catalogue are full of delightful, beautiful and cute products – I so want them all … if you are like me then reality will send you on this fabulous journey throughout the Blog Hop so you go ooh and ah and just relish in all the beautiful projects this group of ladies have created to share and Inspire you. My first project I want to share with you is using the cute ITS MY PARTY Suite on pages 4 & 5 of the occasions catalogue. For those of you who know me I love things that are cute and tiny and this suite really does it for me. 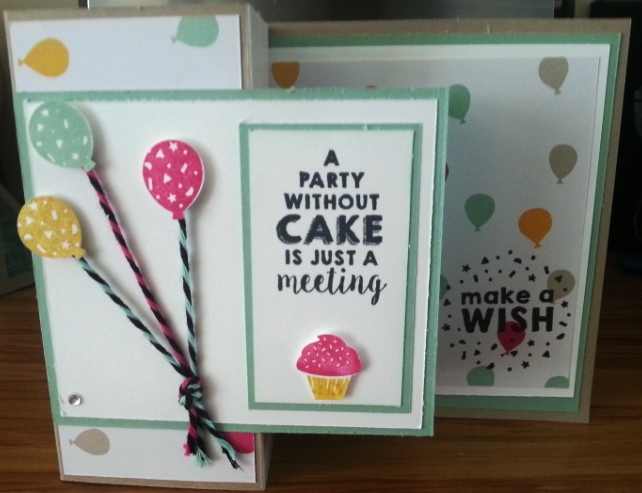 It comes as a bundle of sweet little balloon, candle and cup cake stamps and matching punches…. 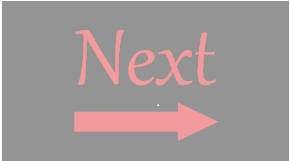 Even better still Stampin Up have created the images slightly bigger than the punch so that when you punch them out you don’t get that irritating white line on the outside of your images. Love! love! love! this set. This card is a special fold card and is layered as a steps and folds down to fit flat in an envelope. This card has been created in a landscape orientation but if you wish you can turn it 90 degrees and have a portrait type card. My next card is MASCULINE – Especially challenging at the best of times for the men in our lives. 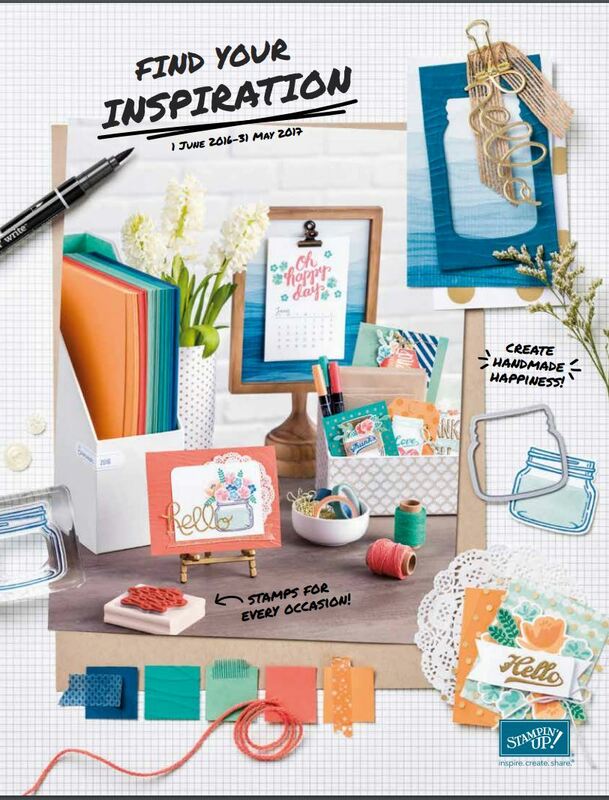 There are two sets to inspire the manly creativity in us > Sky is the Limit on page 16 of the Sale-A-Bration brochure and a fabulous suite on page 38 and 39 of the Occasions catalogue. You can make this card as simple or as decorative as you wish – I made mine relatively simple. 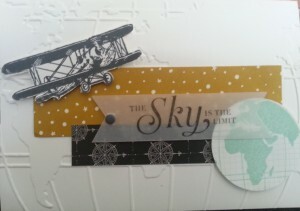 I am so in love with the aeroplane and for me this one is a keeper. Check it out with your demonstrator as this set is only available until the 15th February and even better still its FREE!!!! Now who doesn’t like free. 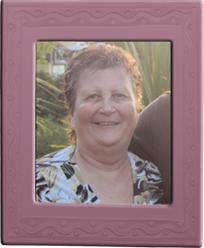 This is it from my part of the world I hope you are enjoying your journey – fly on to the next destination by clicking on the NEXT button which will land you at Debbie Lambs inspiring creations. If you haven’t seen what Jan Clothier has created you will need to click on the PPREVIOUS button to land on her creative part of this journey. I hope you have enjoyed travelling with us so far and have been inspired to create with the ideas we have shared with you. Bev, I love your fancy fold card! 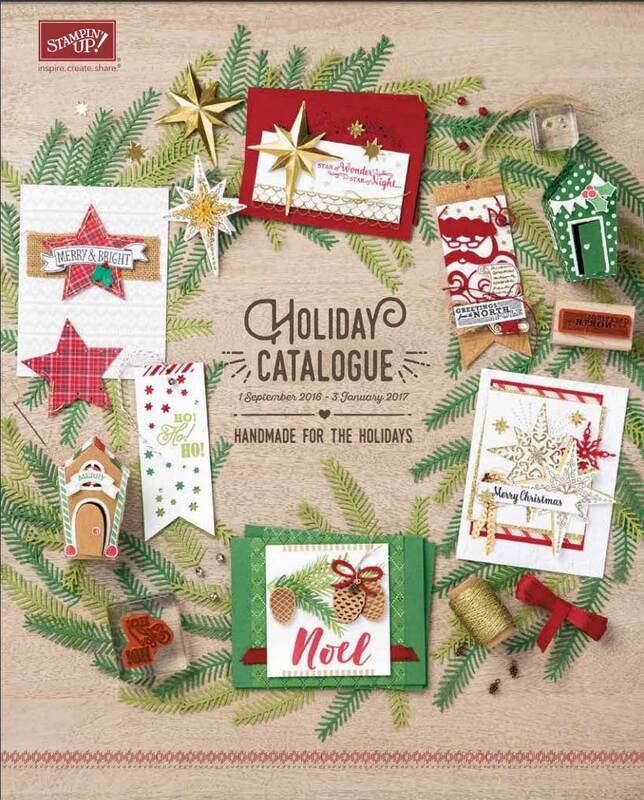 The whole card is so festive – it really shows off this great set of stamps and goodies. Lovely cards Bev. It looks like you have made your own DSP for the first card – and if you haven’t, it just shows how easily you can. Thanks for sharing. Super cute cards Bev. Love them both!